The Brusilov Offensive had quite an effect on the course of history. Strategically, it weakened the Central Powers on the Italian front and at Verdun. The Austrians were forced to forsake their Italian victory, rushing to fight the Russian in the North. An important factor on the Western Front, the Eastern attacks saw Germany terminating its Verdun Operation to transfer no less than 35 divisions from the Schlieffen right hook to the Eastern Front. This helped to sufficiently undermine the Schlieffen plan enough for France to sustain a successful defense. The Offensive ruined Austria-Hungary. Weakened by political turmoil, Austria was unable to cope with its losses, of funds and of soldiers. It was forever eliminated as a major military power. The future brought the collapse of the Habsburg Empire and the formation of the Austrian and Hungarian republics. Within its own, the loss of one million Russian soldiers and the decayed public morale hung heavily on the people. Widespread famine caused by the diversion of all resources to the war effort induced rioting. Nicholas II abdicated from the throne and the provisional government, set up in his place, was overthrown in a Bolshevik coup abruptly afterwards. In 1917 the Russian Revolution was well under way. A failed success, the Offensive assisted the Allied war effort but brought upon itself much strife. Renewed German assaults almost break the French line, but the French hang on to their positions until demands for replacements on the Eastern Front drain 15 German divisions from Verdun. German troops almost succeeded in breaking through the French line at the close of June and into early July. It was at this stage that the latest form of chemical warfare was unveiled by Germany: phosgene gas, which acted by forming as hydrochloric acid once inhaled into the lungs. Joffre, meanwhile, pressed the British government to stage a major diversionary offensive elsewhere on the Western Front to serve as a drain on German manpower. 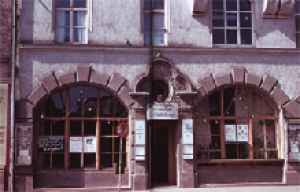 Hess is said to have seen Adolf Hitler speak for the first time at the Sterneckerbrau beer hall in Munich. Haushofer accompanied Hess to several National Socialist meetings in June. Note: Other sources say Dietrich Eckart personally escorted Hess to his first Nazi party meeting in May 1920. Afterward, Eckart supposedly introduced Hess to Adolf Hitler. In the First World War, Lang criticized some of the excesses of anti-German propaganda, recalling his "sacred memory" of the Kaiser kneeling beside Edward VII at the bier of Queen Victoria. As a result he became a target of public abuse, a shock which seems to have had a deep impact (the alopecia which followed turned a young-looking, dark-haired man into an elderly-looking bald man with white hair; even friends did not recognize him). 1934 Nazi Germany: Hitler calls a halt to plans that would have banned the Stahlhelm. 1936 Danzig: Germany declares its support for Danzig's independence. That I be directed to propose to Mikoyan the dispatch of a qualified special delegate with all necessary powers to Berlin, in order to continue and possibly conclude the negotiations there. In view of Mikoyan's tactics, this course seems to me to have a far better prospect of success. If Mikoyan should decline this proposal, the possibility would remain of entrusting me with the further conduct of the trade negotiations in Moscow. I propose to supplement these considerations after I have had an opportunity to speak with Molotov. Molotov just informed me by telephone that he had summoned the Rumanian Minister at 10 o'clock this evening, had informed him of the Soviet Government's demand regarding the cession of Bessarabia and the northern part of Bucovina, and had demanded a reply from the Rumanian Government not later than tomorrow, i. e., on July [June] 27." The Reich Foreign Minister to the German Foreign Office: "The following instruction is to be transmitted immediately by telephone in plain to Minister Fabricius in Bucharest: "You are requested to call immediately on the Foreign Minister in Bucharest and inform him as follows: "The Soviet Government has informed us that it has demanded the cession of Bessarabia and the northern part of Bucovina from the Rumanian Government. In order to avoid war between Rumania and the Soviet Union we can only advise the Rumanian Government to yield to the Soviet Government's demand. Please report by wire." End of the instruction to Bucharest. Latvia: German forces of Heeresgruppe Nord capture Duenaburg. Leningrad: The Luftwaffe carries out raids. C-in-C of the Afrikakorps is promoted to Generalfeldmarschall (field marshal). Shortly after midnight on the morning of June 13, 1942, four men landed on a beach near Amagansett, Long Island, New York, from a German submarine, clad in German uniforms and bringing ashore enough explosives, primers, and incendiaries to support an expected two-year career in the sabotage of American defense-related production. On June 17, 1942, a similar group landed on Ponte Veda Beach, near Jacksonville, Florida, equipped for a similar career in industrial disruption. 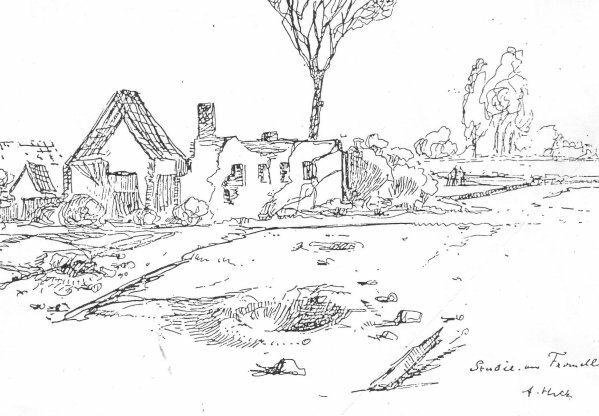 The purpose of the invasions was to strike a major blow for Germany by bringing the violence of war to our home ground through destruction of America's ability to manufacture vital equipment and supplies and transport them to the battlegrounds of Europe; to strike fear into the American civilian population, and diminish the resolve of the United States to overcome our enemies. 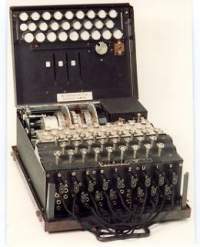 By June 27, 1942, all eight saboteurs had been arrested without having accomplished one act of destruction. Tried before a Military Commission, they were found guilty. One was sentenced to life imprisonment, another to thirty years, and six received the death penalty, which was carried out within a few days. If the scale of military operations in Northern France is becoming increasingly powerful and dangerous for Hitler, the successful development of the Allies' offensive in Italy is also worthy of every attention and applause. We wish you new successes. Concerning our offensive, it can be said that we shall not give the Germans a breathing-space, but shall continue to widen the front of our offensive operations by increasing the strength of our onslaught against the German armies. You will of course agree with me that this is indispensable for our common cause. As regards the Hitlerite flying bombs, this expedient, it is clear, can have no serious importance either for operations in Normandy, or for the population of London, whose bravery is known to all. It appears that both of us have inadvertently taken unilateral action in a direction that we both now agree to have been expedient for the time being. It is essential that we should always be in agreement in matters bearing on our Allied war effort. Churchill to FDR: You may be sure I shall always be looking to our agreement in all matters before, during, and after. Dr Fritz (counsel for Fritzsche): The Prosecution has said that the Propaganda Ministry was the most fabulous lie factory of all times. What do you have to say about this? Fritzsche: First, for myself personally, I should like to make the following quite clear. I state under oath: On really serious questions of policy and the conduct of war I did not commit a single falsification and did not consciously use a single lie. How often I myself became the victim of a falsehood or a lie I cannot say after the revelations of this Trial. The same is true, as far as I know, of all my fellow workers, but I do not by any means want to deny that I and my fellow workers selected news and quotations following a certain tendency. It is the curse of propaganda during war that one works only with black and white. Only a few great minds remain independent. I believe that this painting in black and white is a luxury which also cannot be afforded any longer. Fritzsche was a section chief in the Propaganda Ministry who reported to the Reich Press Chief, Otto Dietrich, who in turn reported to Goebbels. Within the ministry Fritzsche was not unimportant, and his own news program, 'Hans Fritzsche Speaks,' was widely heard. But as a third level official he had little to say about policy questions. Of course his programs hailed the Wehrmacht's aggressions and denounced the Jews. Thus Fritzsche's case was somewhat analogous to Streicher's, but compared to Der Stuermer, Fritzsche's output was pallid indeed ... of all the defendants he was the most susceptible to the trials' shocking moments. In November 1945, after the first showing of an atrocity film, Fritzsche 'burst into tears and sobbed bitterly.' He remained prone to emotional distress from both testimonial and visual descriptions of atrocious events. Socially, Fritzsche was friendly, generous, and popular with the other defendants. They all knew that he was in the dock only because of his capture by the Russians who, except for Raeder, had secured no well-known defendants . . . . Fritzsche had never met Hitler and was previously unknown to most of the defendants . . . .
Rudenko himself took the lectern (for cross-examination). It was not a success . . . . It appeared to me that Fritzsche did not emerge from his ordeal as young and innocent as when he began and that he knew much more about German atrocities than he let on. Fritzsche himself expected to be convicted, because he viewed himself as a stand-in for the deceased Goebbels. But if the Tribunal had faults, such chicanery was not among them. 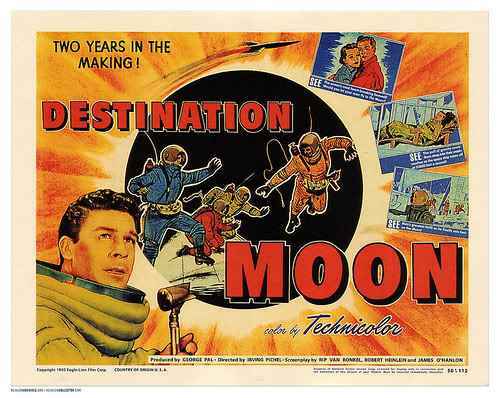 1950 Destination Moon: the first major science-fiction film produced in the United States that dealt seriously with the prospect, problems and technology of space travel, is released. The eminent science-fiction writer, Robert A. Heinlein, contributed significantly to the script and served as a technical adviser. Seven years before Sputnik, 19 years before the actual moon landing, the movie clearly spells out a rationale for the space race: unnamed enemies—clearly understood at the time to be the Soviets—are sabotaging the American space program; and unless the West beats them to the moon, they will establish a strategic advantage to conquer the world. Weichs was born 12 November 1881 . . . at Dessau in Anhalt, a son of an Army colonel. He entered the Bavarian Cavalry in 1900 and fought with them in World War I. From 1915 until 1918 he served with the General Staff of the 3rd Bavarian Army Corps. After the war he remained in the newly created Reichswehr where he worked at a number of General Staff positions and later served as an instructor. In October 1937 he became the commander of the 13th Army Corps, that later served in the 1938 German occupation of the Sudetenland. 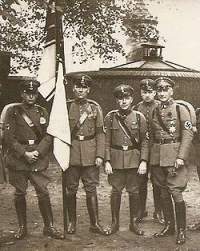 For the German invasion of Poland beginning World War II in 1939, Weichs was appointed head of his own Army Corps "Weichs". After the Polish surrender, and in preparation for the invasion of France, he was made Commander-in-Chief of the 2nd Army, a part of Rundstedt's . . . Army Group A in the West. For his successes in the French campaign he was awarded the Knight's Cross of the Iron Cross and promoted to colonel-general. Leading his corps, Weichs later took part in the Balkans Campaign, and in preparation for Operation Barbarossa, the German invasion of the Soviet Union, he was assigned to lead the 2nd Army as a part of Fedor von Bock's . . . Army Group Centre. He led the 2nd Army in 1941 through the Battle of Kiev, the Battle of Smolensk, and then on to Vyazma and Bryansk. In 1942, for Fall Blau, Weichs was assigned to lead the newly created Army Group B. Army Group B . . . . In addition to the German armies, Army Group B included the 2nd Hungarian Army, 8th Italian Army, the Third and the Fourth Romanian Army. The 6th Army was assigned to take the city of Stalingrad and cover approximately 800 km of front. Weichs warned about his lines being stretched too thinly, but Adolf Hitler . . . ignored his warnings. Weichs' fears were realised when Operation Uranus smashed the Romanian armies on his flanks, cutting off the 6th Army inside Stalingrad. Suggesting retreat, Weichs fell out of Hitler's favor. 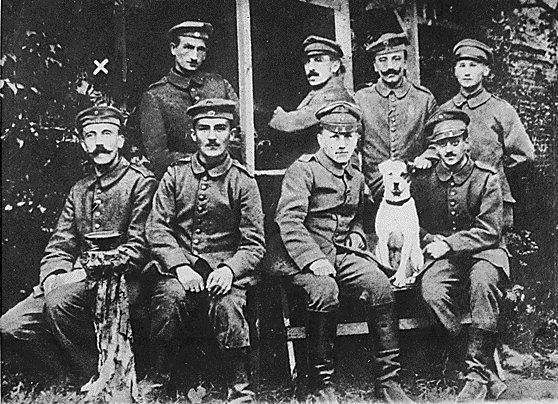 Consequently, parts of Army Group B were taken away from Weichs' command and incorporated into a new Army Group Don, led by Erich von Manstein . . . Later in February the remaining part merged with the Don Group into a newly reinstated Army Group South, also led by Manstein. Weichs was put in leader reserve. Weichs was promoted to Generalfeldmarschall on February 2 1943. As the German situation was starting to become more dire, in August 1943 Weichs was appointed Commander of Army Group F in the Balkans defending against possible Allied invasion in what was seen as Germany's weak underbelly and fighting off local partisan groups that were gaining strength. In late 1944, he oversaw the German retreat from Greece and most of Yugoslavia. 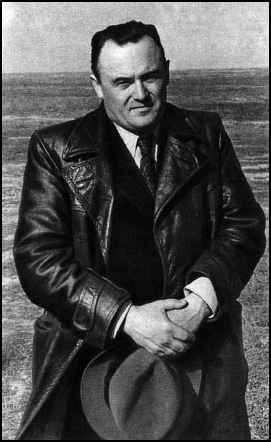 Sergeant Ray Holmes was a highly experienced pilot by the time of the Battle of Britain. He had joined the Royal Air Force Volunteer Reserve (RAFVR) soon after its formation in 1936. Indeed he was only the fifty-fifth man to join. Flying with 504 Squadron it was from Hendon that Ray took off from to intercept the midday raid on London, 15th September 1940. Ray's nickname "Arty" came about due to his initials R.T.
Ray Holmes' ramming of a Dornier bomber over London has over the years become one of the most celebrated events of the Battle of Britain. Largely this is because of the heroic act itself, but the fact that the German enemy bomber crashed in such a public place and there was no loss of (English) life helped. And then the fact that the incident was filmed also helped. In "Arty" Holmes' words: "There was no time to weight up the situation. His aeroplane looked so flimsy, I didn't think of it as solid and substantial. I just went on and hit it for six. I thought my aircraft would cut right through it, not allowing for the fact that his 'plane was as strong as mine!" With a closing speed well in excess of 400mph, the result was instantaneous and catastrophic. The Dornier's entire twin-rudder tail section parted company with the remainder of the fuselage which then did a violent front somersault. Indeed so violent that both of the wings snapped off outboard of the engines due to excessive g-force. Ray had aimed his aircraft with amazing precision, his wing slicing through the Dornier at its most vulnerable point - the rear fuselage. Arty initially thought he'd got away with his suicide mission but relief turned to horror with the realisation that he no longer had control over the Hurricane which entered into a vertical dive. Ray abandoned faithful old Hurricane "TM-B" and took to his parachute. At over 400mph, "TM-B" impacted more or less in the middle of the busy crossroads where Buckingham Palace Road meets Pimlico Road and Ebury Bridge. With close on a ton of metal in her nose (the Merlin engine) the kinetic energy behind the Hurricane was tremendous, punching a large hole in the road, into which the majority of the aeroplane disappeared. The Dornier itself did a spiralling descent, crashing on the forecourt of Victoria Station. After making a successful landing beneath his parachute, Arty was led along Ebury Bridge Road to where Hurricane had impacted. In the centre of the crossroads there was a deep water filled crater surrounded by wreckage. This was all that was left of "TM-B". After collecting a souvenir—a small piece of the Rolls-Royce Merlin's rocker cover with the letters "S-R" of Rolls-Royce—Arty was led to the Orange Brewery a hundred yards down Pimlico Road for a swift brandy before being dispatched to Chelsea Barracks. Following a visit to an army doctor and then the Mess for a few more drinks and a bit of warranted line-shooting, a taxi transported the now celebrated pilot back to RAF Hendon and 504 Squadron. Arty continued to fly throughout World War II, later becoming an instructor teaching Russians how to fly the Hurricane and then performing high altitude photo-reconnaissance from 30,000 feet over Germany in a specially prepared Spitfire.